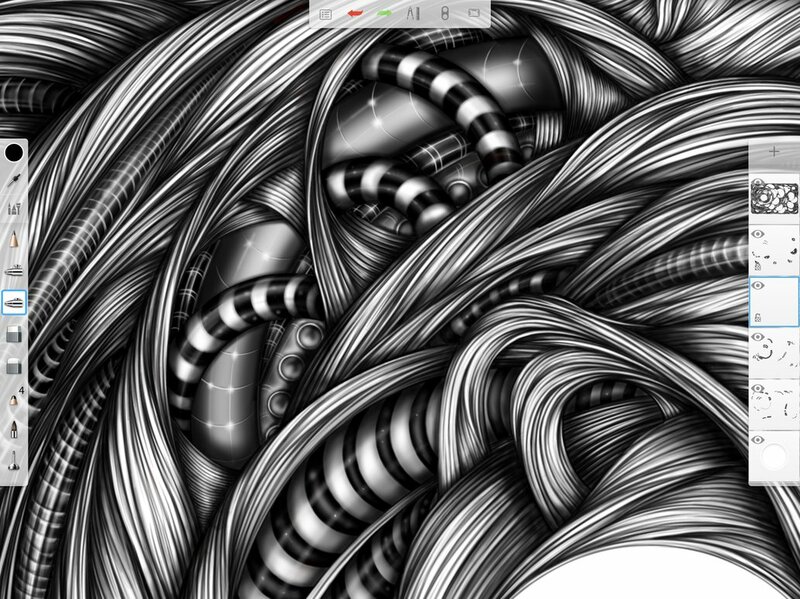 If you’re a fan of Sketchbook Pro like I am you know it’s an amazing program. I would argue it’s the easiest program to use digitally out of the box bar none. No other program is intelligently designed enough to allow a 5-year-old to use it yet create broadcast or print quality work as well. You can draw, paint, and even animate with it and it is available on most platforms including OSX, Windows XP through Windows 10, and even your favorite Android tablet or iOs device as well! In short it’s an extremely versatile program all for $185! Not bad! They even have subscription for $4.99 a month which allows you to get the latest builds as they upgrade the software. In short, pretty damn amazing if you ask me! PLUS, it has a small footprint, which means it will work on old tablet PCs like the Motion Computing LE 1700 which you can get for a song these days on eBay and other places. Of course you can also use it with a Surface Pro or iPad Pro as well. The latest version Sketchbook 8 has redesigned it’s brushes so you can really get some interesting details you can mix colors and blend them as well. Oil paint, watercolors, ink and chalk are some of the default choices but there are many others to choose from as well. Lately Sketchbook.com has been posting free custom brushes for download, and this week a buddy of mine was feature on the blog. Keith Cowan creates some truly amazing pieces of work and you owe it to yourself to check his work out. Below is Keith‘s custom art brushes as well as other Sketchbook Brush download sets to get you started! Now go out there and make some amazing content!